The stylish Range Rover Evoque is now available with two-wheel drive rather than the 4x4 which means improvements in fuel economy. But is it as good to drive? 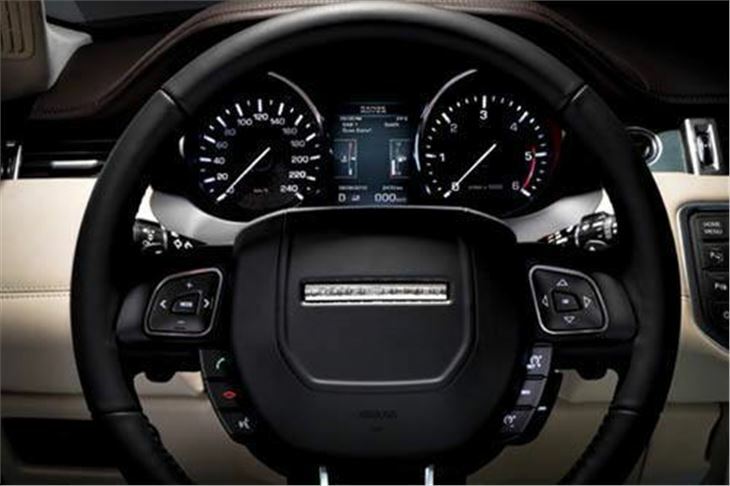 For all you hardened Land Rover aficionados out there, the mere thought of any Range Rover being driven by just two wheels – and the front ones at that – will be seen as nothing short of sacrilege. But before you get your off-road knickers in a twist, two-wheel drive Land Rovers are nothing new. The Freelander has been offered with this option for some time and how many Evoque owners will actually drive their car somewhere where there’s the slightest chance it may get its tyres dirty? At a guess - not too many. 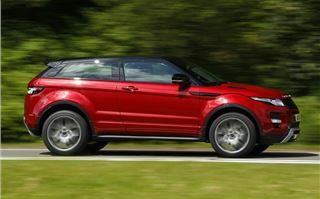 That’s why they’re making the Evoque even more attractive to urbanites by offering an alternative to the four-wheel drive system. 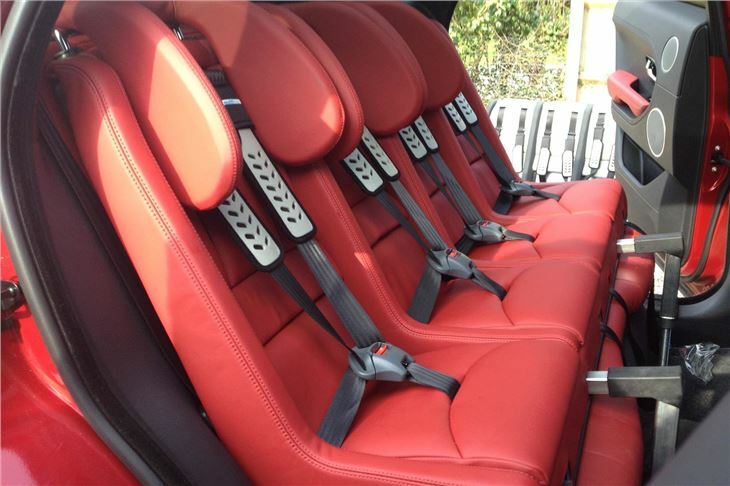 At this stage, Land Rovers plans for this version are a little more limited than the rest of the Evoque range. Firstly, there isn’t the choice of engines. It will only be offered with the 2.2-litre diesel engine and only with a six-speed manual gearbox. It's still available as either a five-door or the three-door coupe although the trim levels have been pegged back to just two; the entry-level Pure and the mid-priced Prestige. It’s worth mentioning that the saving by not having four-wheel drive is also reflected in the on-the-road-price - it now starts off at £27,955 for the 5-door Pure rising to £36,630 Prestige. Crucially, discarding the heavy four-wheel drivetrain makes this particular Evoque more environmentally friendly. Weight is down by 75kgs and CO2 has also been reduced, down to 129g/km. It can now boast an average fuel consumption figure of 57.6mpg too – that’s not far off a Volkswagen Golf 2.0 TDI. But don’t think for one moment that by adopting the green banner this Evoque has lost any of its power to perform. Far from it. From a standing start to 62mph, the time difference between this model and the equivalent diesel four-wheel drive version is measured in fractions of a second (11.2 seconds compared to 10.8 seconds, if you were wondering). When driving on normal road conditions the differences between the two and four-wheel drive models are also negligible. In fact, it actually feels the livelier out of the two, with none of the expectant torque steer which tends to be an inherent problem with front-wheel drive cars. 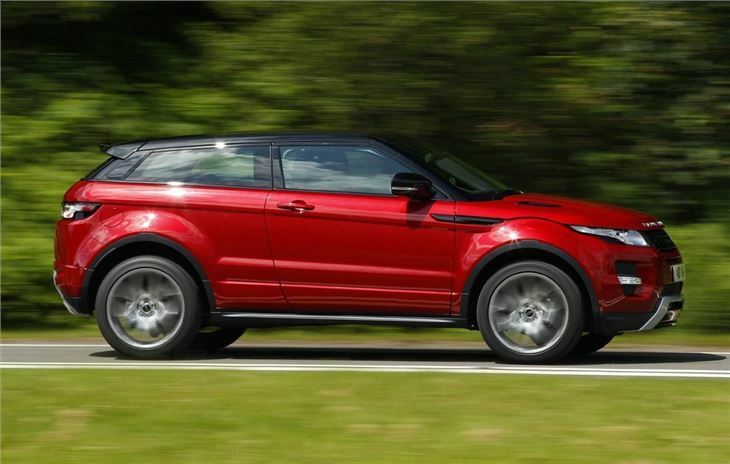 The most surprising thing about this particular Evoque is the more it’s driven, the more apparent it becomes that this car doesn’t consider itself an SUV. Instead it thinks SUVs are a thing of the past - big beasts devoid of any finesse that wallow around like drunken hippos - and it isn’t any of those things. Obviously, any off-road ambitions are going to be limited. 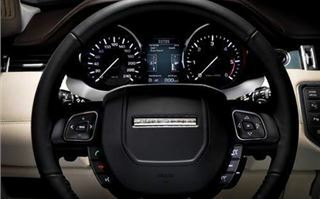 With that said, Land Rover was very keen to show us those limitations don’t have to be restricted to a gravel driveway and gave us an improbable course to negotiate. 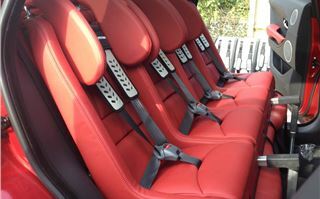 It was always going to traverse the man-made off-road course – Land Rover would never let this Evoque fail – yet it proved the point that while it may not have the Terrain Response system, unless conditions are particularly harsh the two-wheel drive Evoque shouldn't ever embarrass itself. You certainly don't ever feel as if you’re being short-changed. Sitting inside, you feel as if your sitting in a car which could be the best in the world. As for the engineering, it too is as good as anything the Germans could dream up. But it’s more than all these things; it is completely honest to itself. It is not professing to be anything other than what it is, and if you do need an Evoque to be more workhorse-like then buy the 4x4 version. 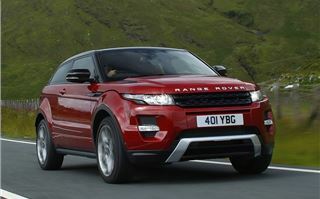 Anything other than that, then this two-wheel drive Evoque will tick every other box.